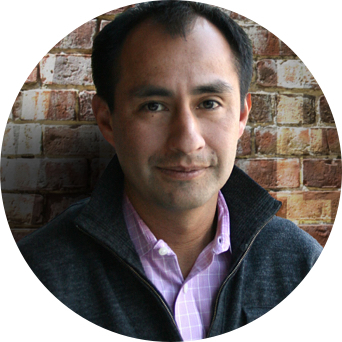 Bismarck Lepe is the founder and CEO at Wizeline. He founded Wizeline in 2014 with the mission to help companies build better products faster by making innovation accessible to all organizations. A seasoned executive and entrepreneur, Bismarck started his career at Google before he co-founded Ooyala, a video technology platform company which he sold to Telstra for $400M in 2014. Bismarck is passionate about driving economic growth in the global communities where Wizeline operates. 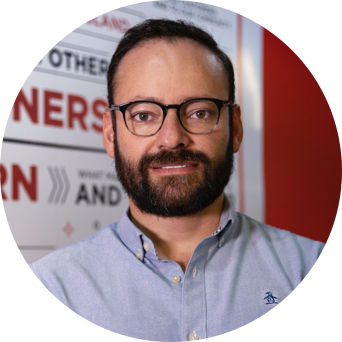 He founded Startup GDL in 2015, a non-profit organization committed to making Guadalajara a leader in innovation. He also founded Wizeline Academy in 2016, an initiative that offers free courses to the public in high-value skills in the tech industry. In his free time, Bismarck enjoys spending time with his family and is an avid runner. Bismarck graduated from Stanford with a BS in Economics. 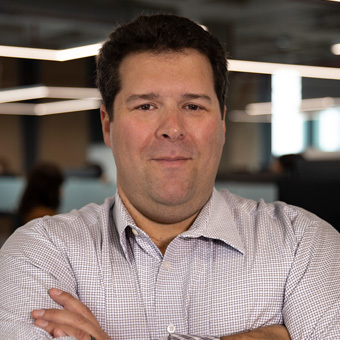 Vidal is the CTO at Wizeline, where he is responsible for scaling the engineering organization to meet the needs of the company’s world-class clients. Previously, Vidal led the engineering organization at Ooyala, served as the lead product manager at Panacredit, and founded Inviko, a company that helps people close deals and earn money using their social networks. 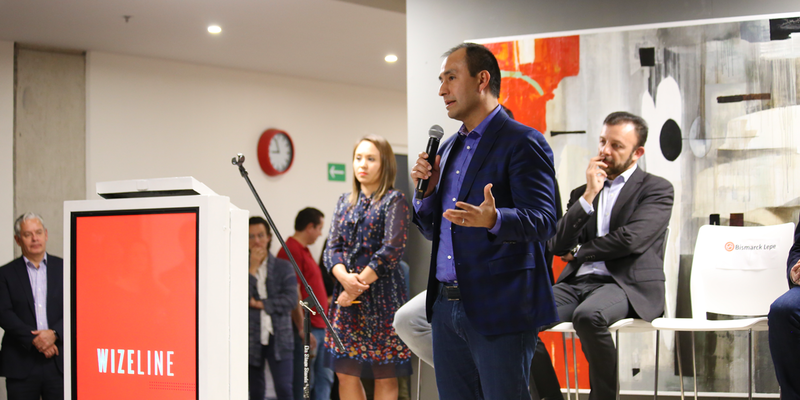 A proud tapatio (native Guadalajaran), Vidal is actively involved with CodeGDL, a program started in 2014 to promote and foster programming skills in high school students living in Guadalajara, and StartupGDL. In his free time, Vidal also enjoys spending time with his wife, taking his truck off-roading, and playing with his dogs. Vidal graduated from the Instituto Tecnológico de Estudios Superiores de Occidente (ITESO) with a BS in Computer Science. Anthony Conte is CFO at Wizeline. He previously served as CFO and Vice President of EPAM Systems. 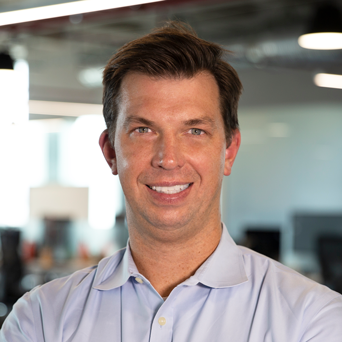 At EPAM, Anthony managed the company’s successful IPO, which valued the company at nearly $500M. Prior to joining EPAM, Anthony served in senior finance roles at McGraw Hill, including as Controller at Platts, and as a finance manager at John Hancock, where he oversaw the company’s international financial operations. In his free time, Anthony serves as a board member for the Ocean City Exchange Club and volunteers with the Hopeworks ‘N Camden. Anthony is also a Certified Yoga Instructor. Anthony holds a Master of Business Administration (MBA) and a Bachelor of Science (BS) in Business Administration from Northeastern University. 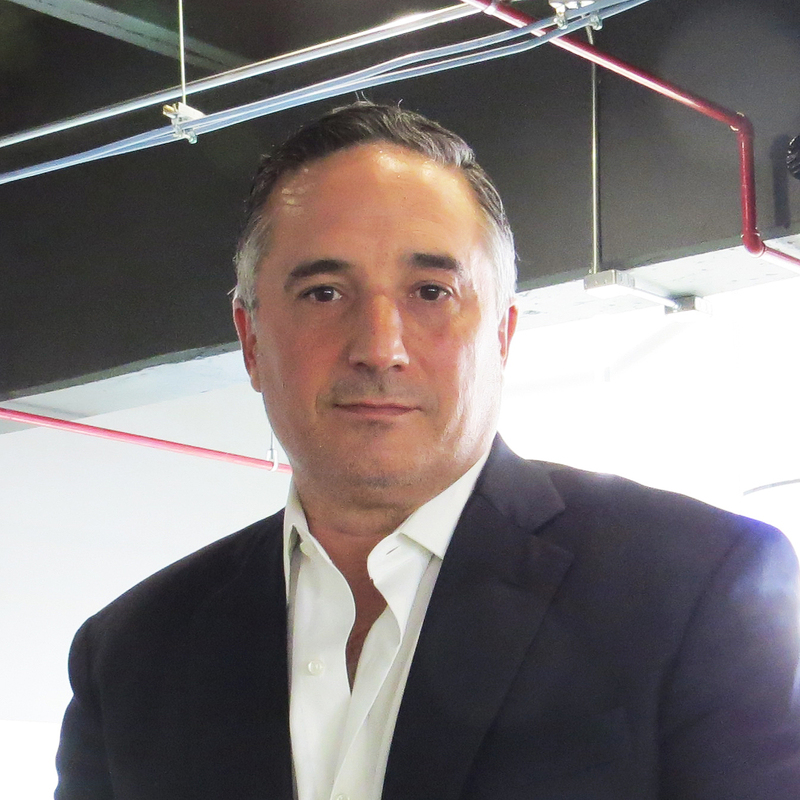 Javier is the Chief Business Officer at Wizeline, responsible for managing the global sales strategy and team. Prior to joining Wizeline, Javi played a key role in scaling Globant into a $2 billion dollar global services business as Chief Business Officer. He joined the company in Argentina in early 2010 as the Vice President of ‘Big Data & High Performance’ and ‘Cloud Computing’ studios before relocating to New York to establish the company’s east coast business and operations, a key milestone to the company’s expansion culminating in its successful IPO in 2014. He also served as the Strategic Sales Team Director at Teleperformance and in other executive roles at companies like Microsoft. Javi graduated as Licentiate in Systems and Computer Science from the Catholic University of Argentina, where he also obtained his B.S. Javi is a devout soccer fan, cheering on Argentinan soccer in his free time. Sung Hae Kim is the Chief People Officer at Wizeline, where she is responsible for developing a unique and meaningful employee experience focused on learning, exploring, and launching careers. Previously, Sung held leadership positions at Pivotal Software, VMware, and HP. She has also been a management consultant and executive coach at different points in her career. Sung cares most about people development, cross-cultural challenges, and inclusion. She serves as adjunct faculty at UC Berkeley and is an education advisor for CLinked, an NGO that that fights human trafficking. In her free time, Sung enjoys cooking, gardening, yoga, trail running, and rock climbing. 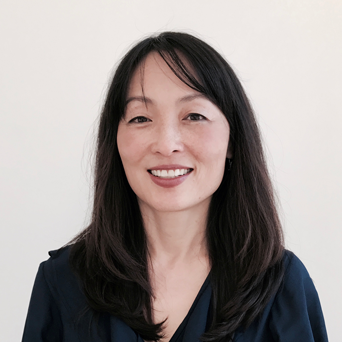 Sung graduated from George Washington University with a Doctor of Education in Human and Organizational Learning, the University of Baltimore and Johns Hopkins with an MS in Applied Psychology, and from Tulane University with a BA in Psychology. Wendy Johansson is a founding employee and Managing Director of Wizeline's Asia-Pacific region. She is also the VP of User Experience and Academy at Wizeline. In her role, drives business growth in APAC, she manages a global team of UX designers, and leads operations for more than 85 Academy programs. Wendy serves on the committee for the venture branch of technology services firm, CompuSoluciones. Prior to joining Wizeline, Wendy built her career leading UX teams at early-stage startups such as Ooyala and AppNexus. Outside of work, Wendy is passionate about felines, food, and females in engineering. She volunteers for global animal rescues, has dreams to open her own restaurant in the South of France, and mentors young women in STEM. At Wizeline, Wendy has worked to ensure women comprise half of the company’s trainees and are mentored by female team managers. Wendy graduated from the University of California, San Diego with a BS in Cognitive Science, and studied Product Management at UC Berkeley’s Haas School of Business. 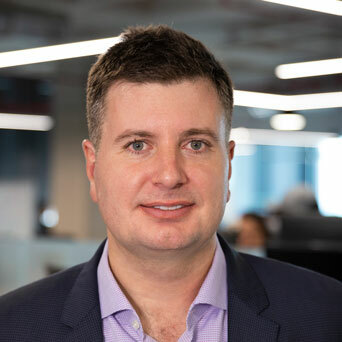 Jason Jackson is Managing Director of Wizeline’s operations in Asia-Pacific, where he oversees the company’s operations and go-to-market strategy. Jason is guiding the company’s branding and marketing efforts in the region, building a new field sales team with engineering expertise and opening additional offices in Thailand and Australia that will support account growth. Prior to Wizeline, Jason held leadership positions at Ascend Group, Pivotal Software, Citrix, and Cloudware. A technology executive with over 20 years of experience, Jason has worked with some of the world’s largest names in banking, insurance, manufacturing, automotive, and other industrial era companies. He started his career as a systems engineer and active open source contributor where he developed expertise in software design and cloud architecture, and systems automation. Caroline Buck is the Director of Marketing & Partnerships at Wizeline. In this role, she leads the global strategy for Wizeline’s brand, demand generation, field marketing, cloud and technology partnerships, and recruitment marketing. 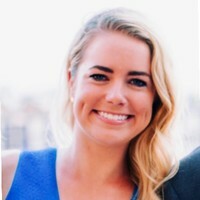 Caroline is passionate about Wizeline's global impact and the opportunity to partner with influential brands in media, sports, and technology. 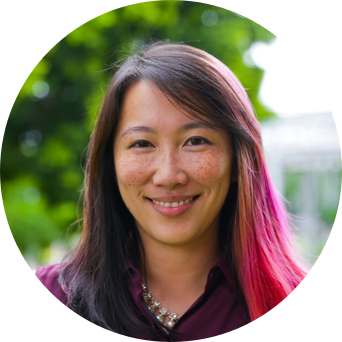 Prior to Wizeline, Caroline was a Senior Product Marketing Manager at Yahoo leading go-to-market for BrightRoll DSP. Outside of work, Caroline enjoys skiing, running, and exploring Bay Area hiking trails with her dogs. She has a Bachelor of Arts (B.A.) from Dartmouth College. Rusty von Waldburg is the General Manager and VP of Conversational UI at Wizeline. In this role, he leads product direction, marketing, and operations for Stello, Wizeline’s chatbot platform. Under his leadership, Wizeline developed the platform offering, completed due diligence for the company's Series B funding, and secured new deals with several Fortune 500 clients. Rusty has over twenty years of experience in corporate development, business operations, and sales strategy. Previously, he served in a number of executive-level roles at fast-growing technology companies including PeerSpace, Square, and Salesforce. In his free time, Rusty enjoys spending time with his family and volunteers for different activities at his children’s elementary school. Rusty graduated from MIT with a BS in Mechanical Engineering.